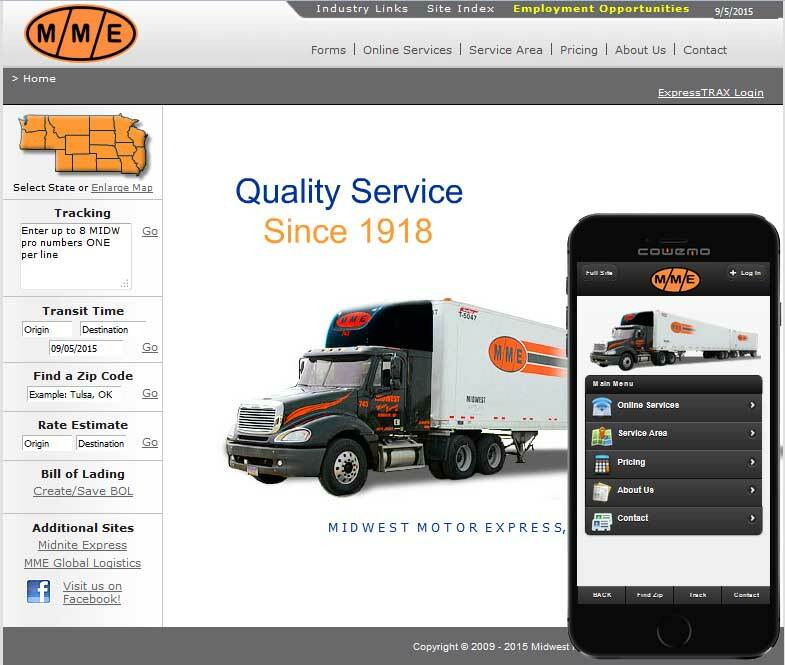 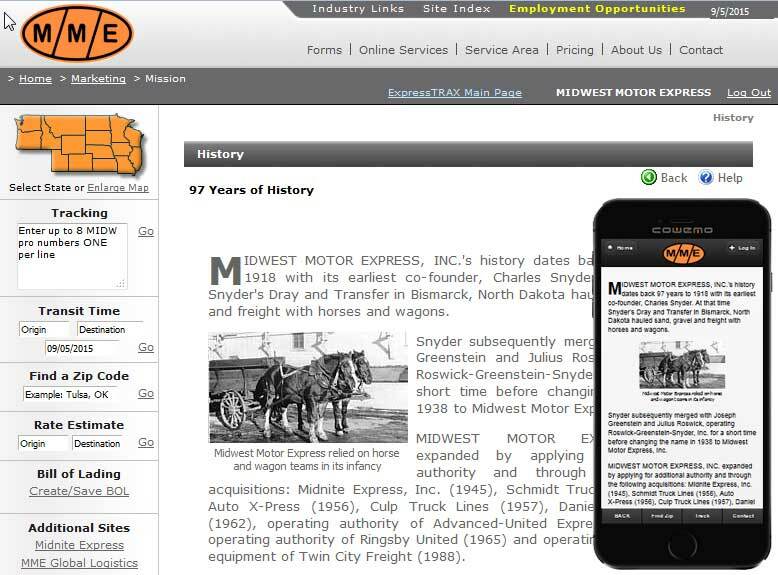 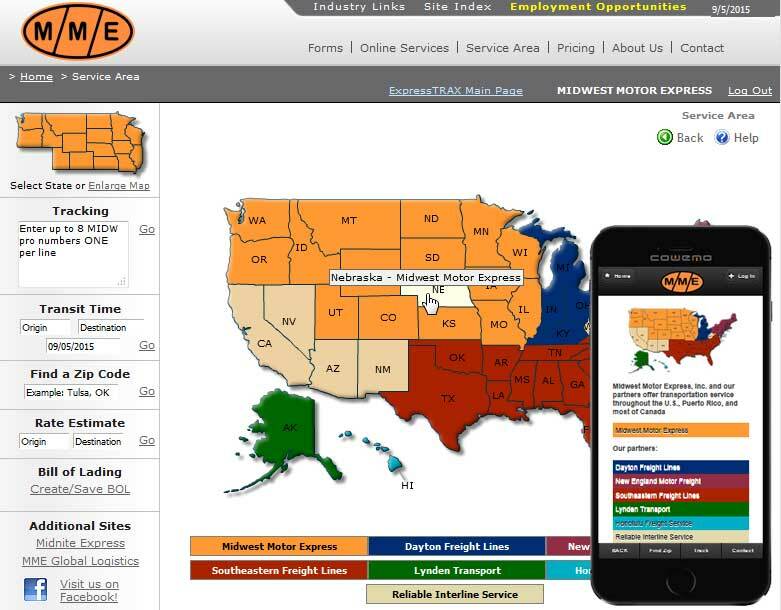 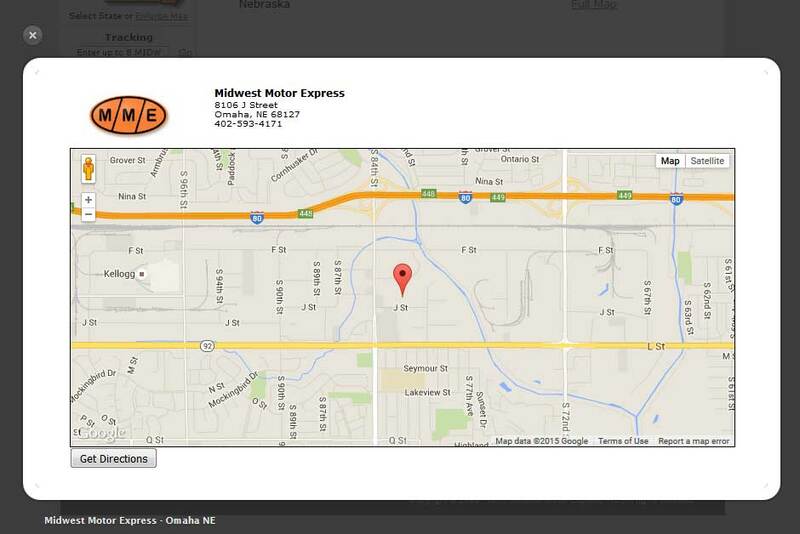 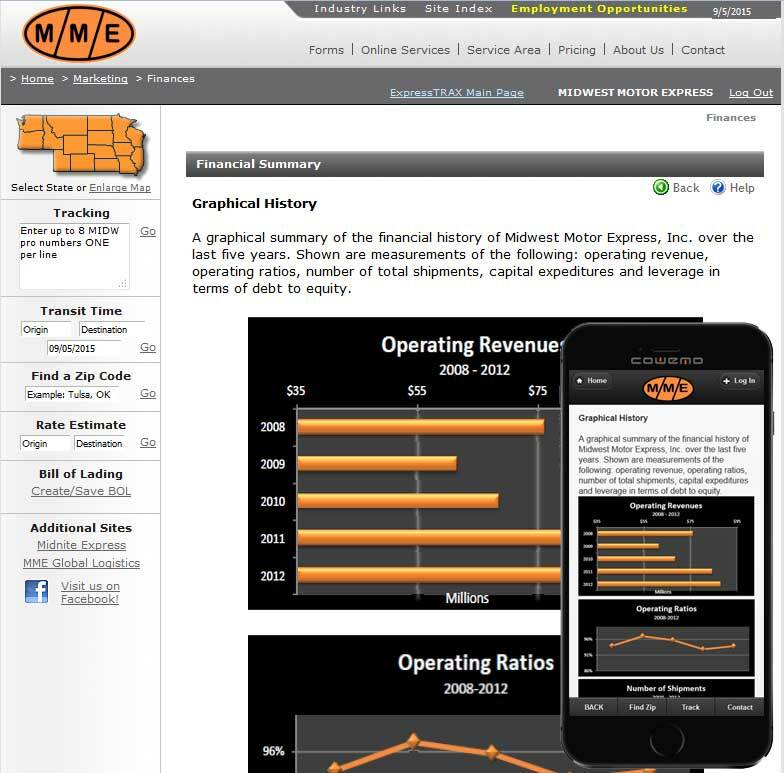 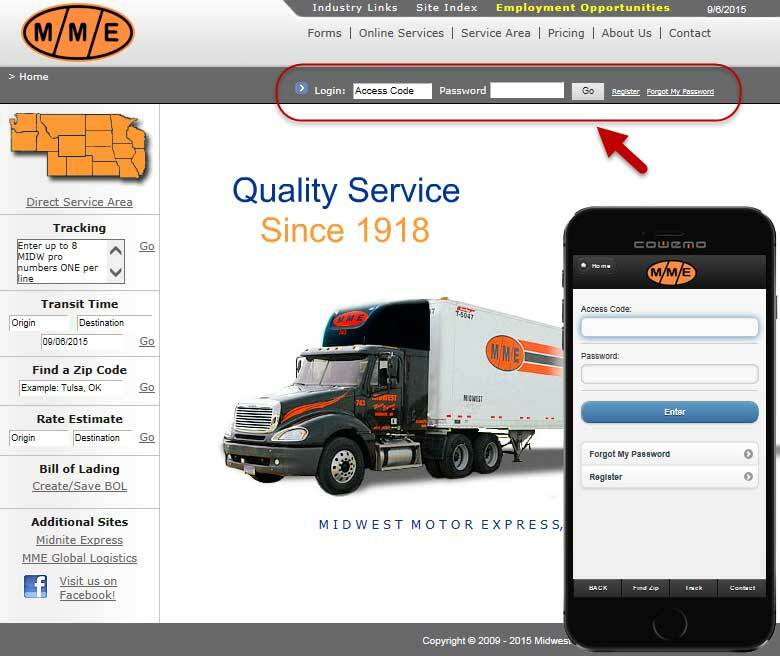 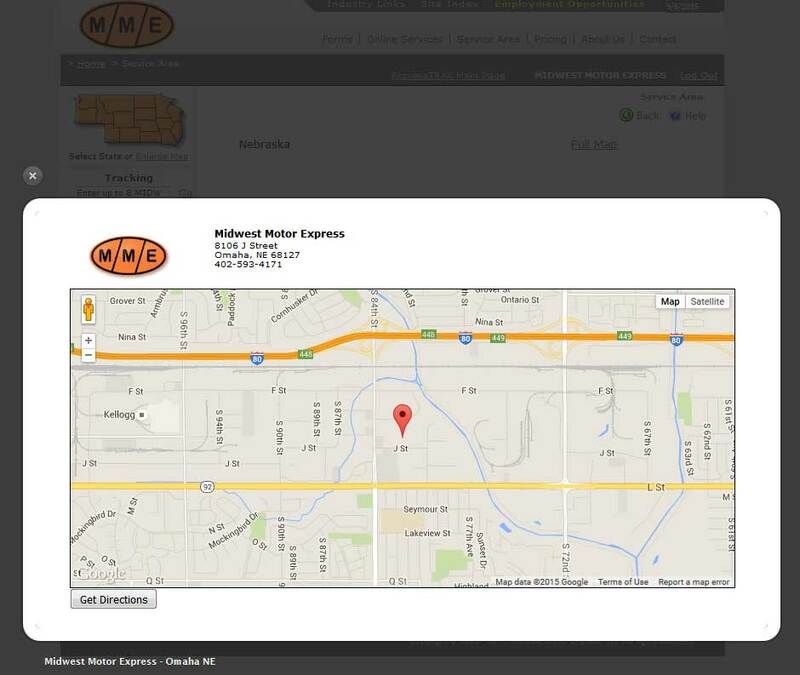 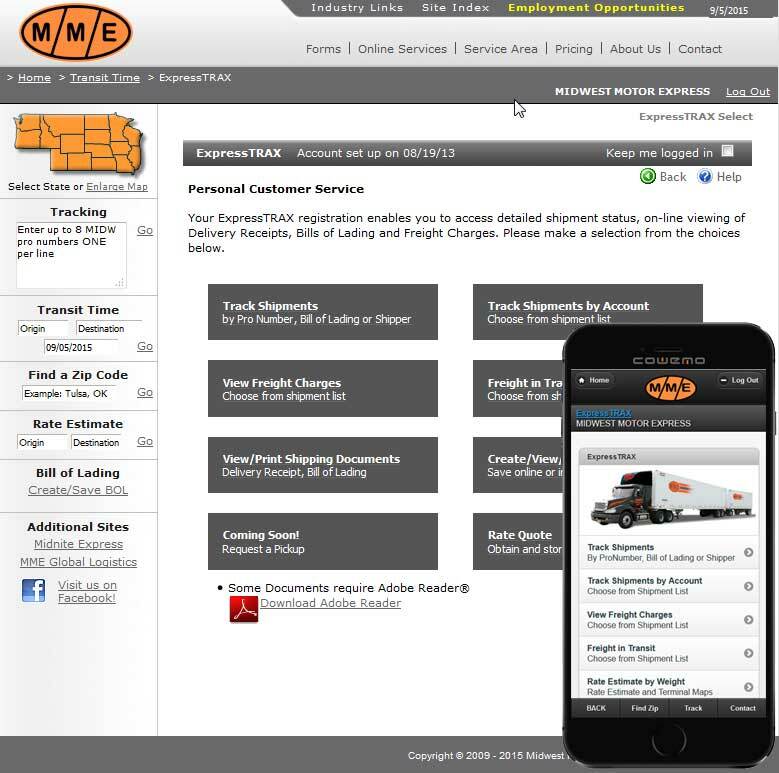 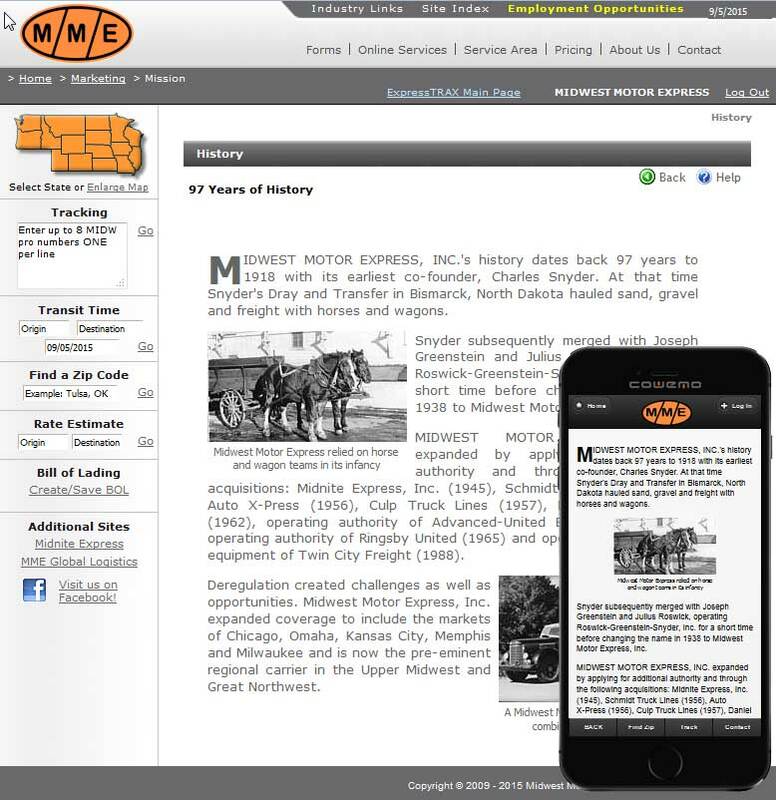 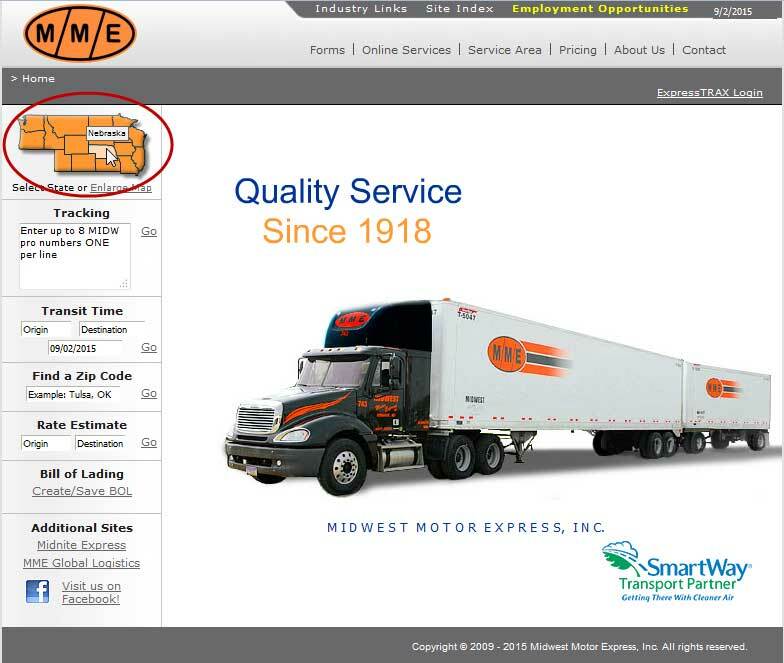 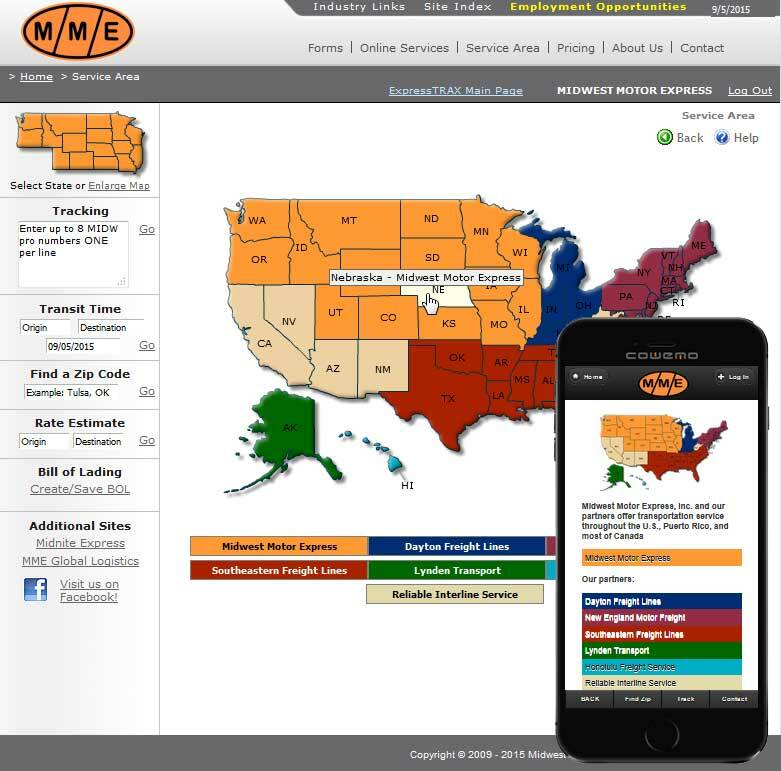 When National Freight Company Midwest Motor Express needed to upgrade their Web site, they turned to DataBoy to provide the best service convenience for their customers. 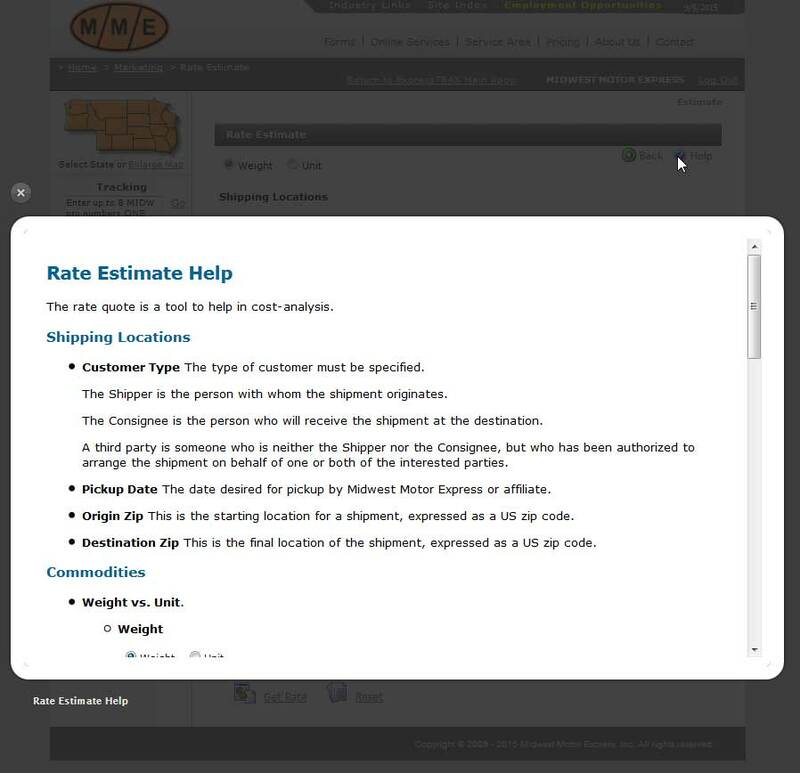 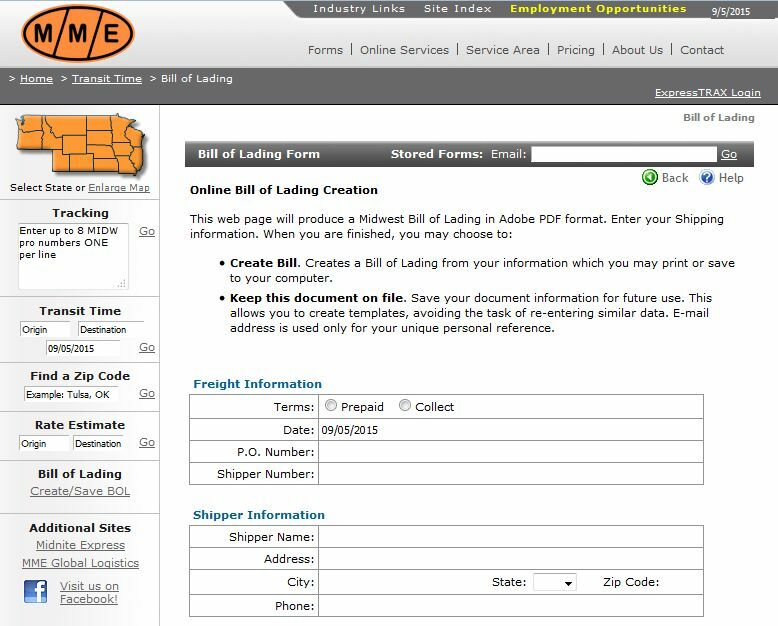 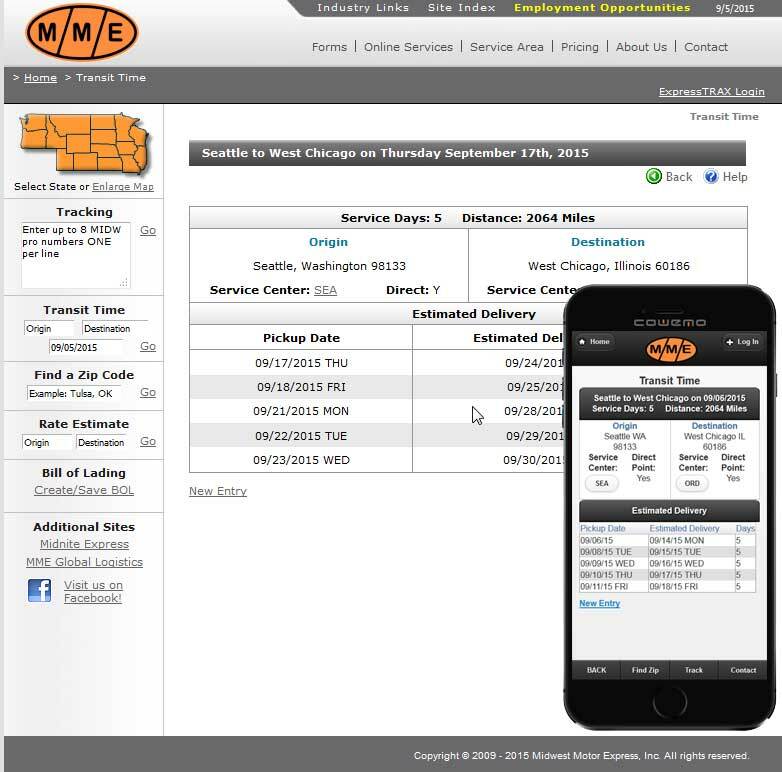 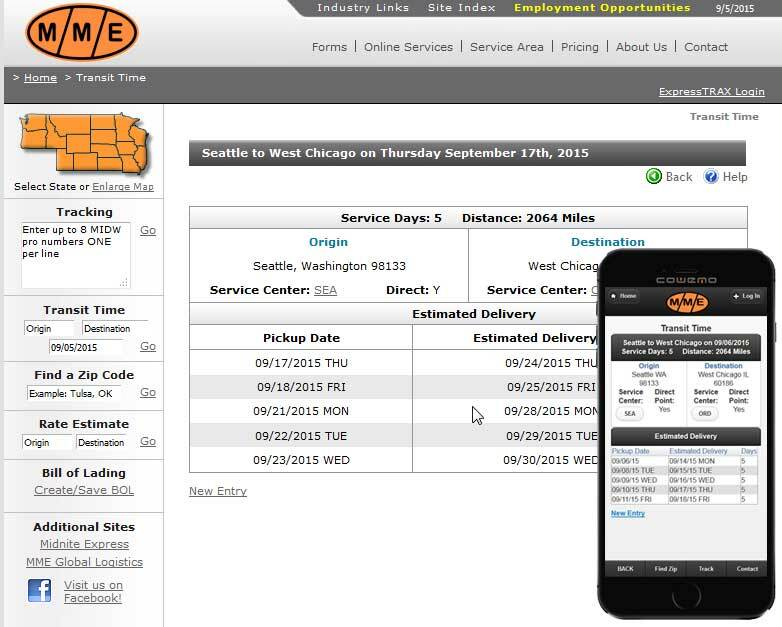 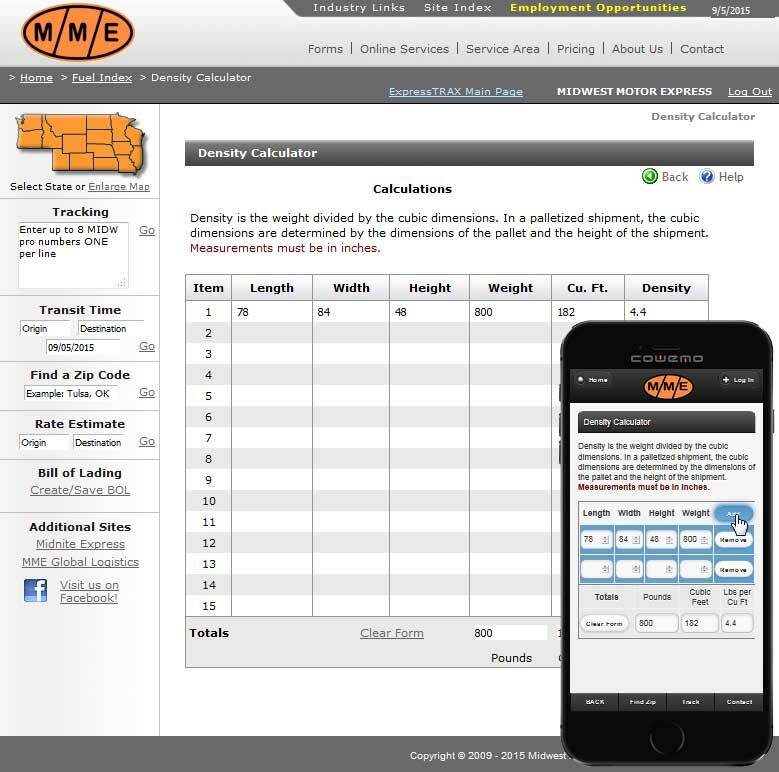 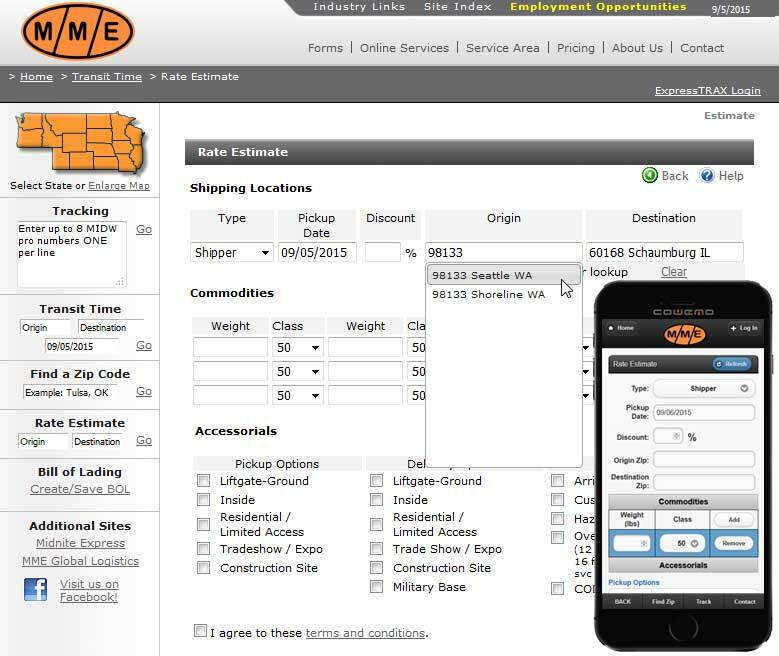 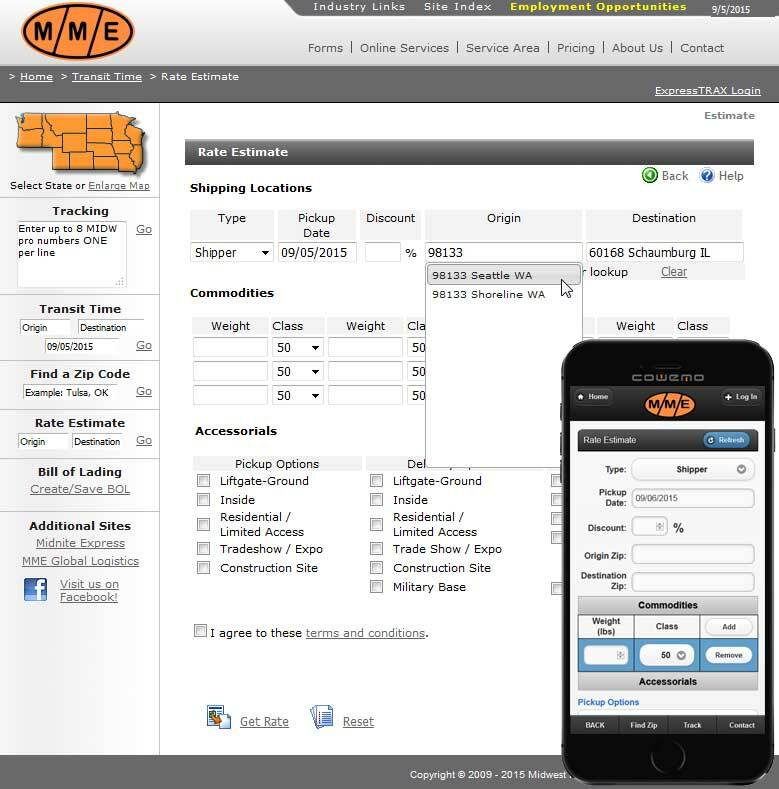 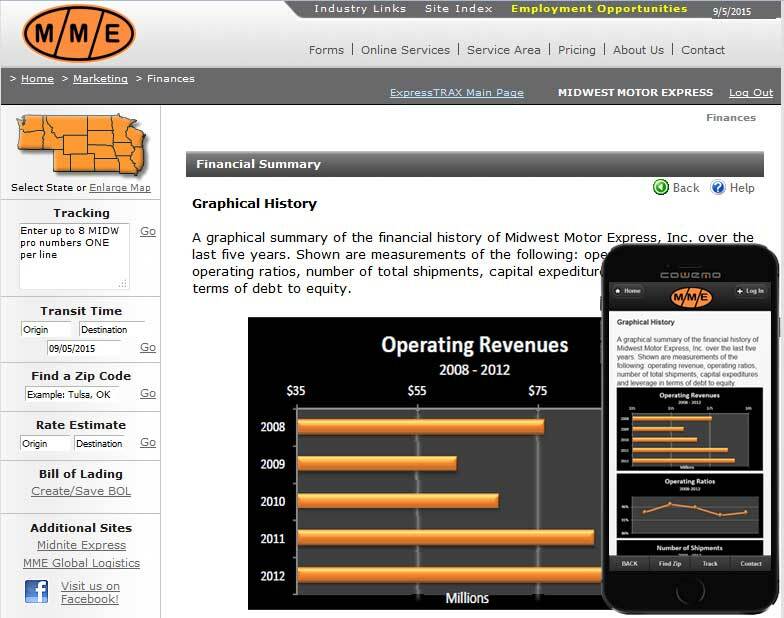 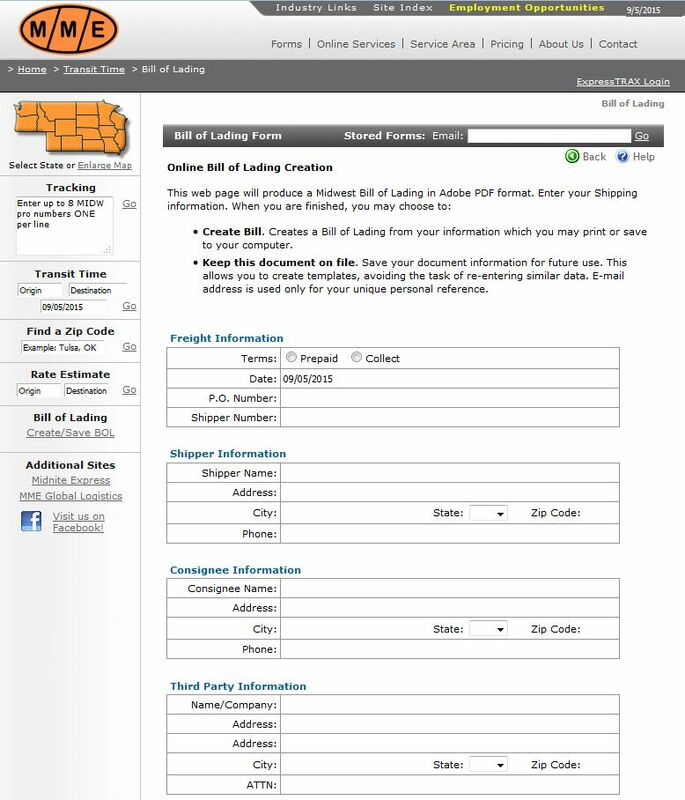 Site visitors are able to obtain a rate quote, find the status of their shipments, look up a zip code, create an online bill of lading, or find transit time information, among other utilities. 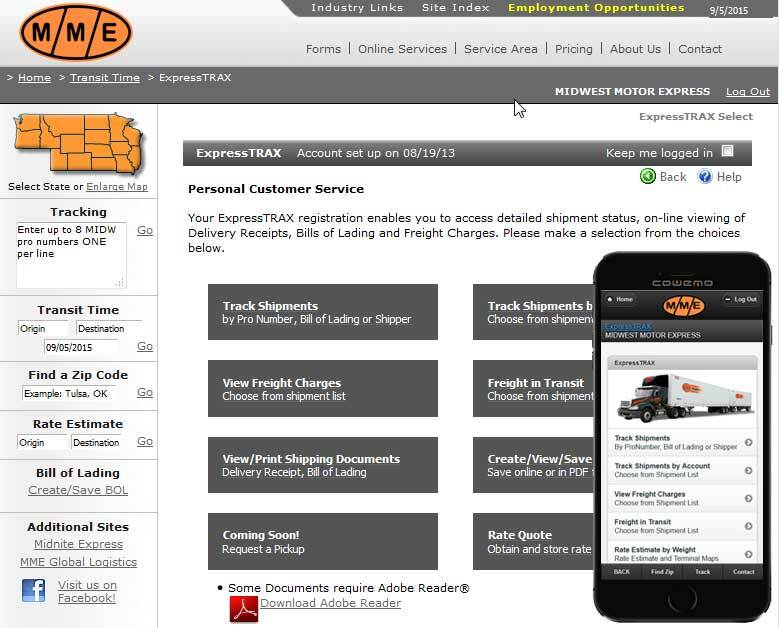 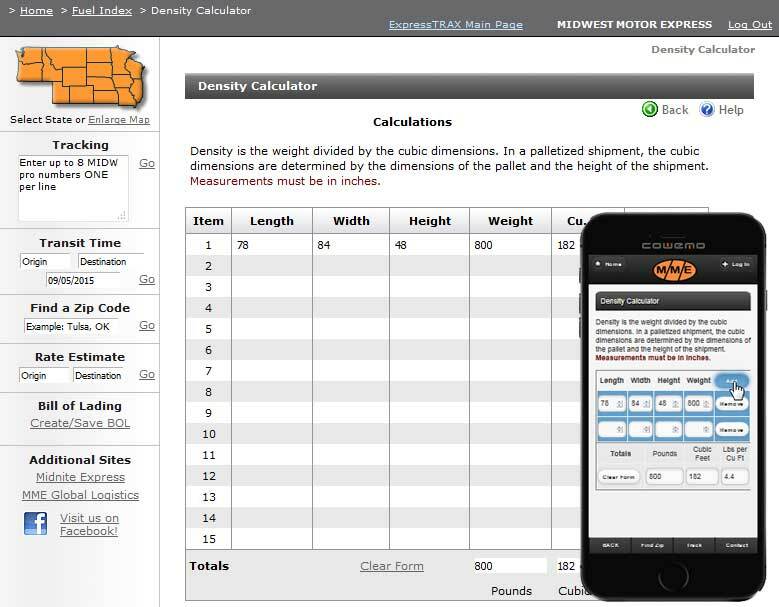 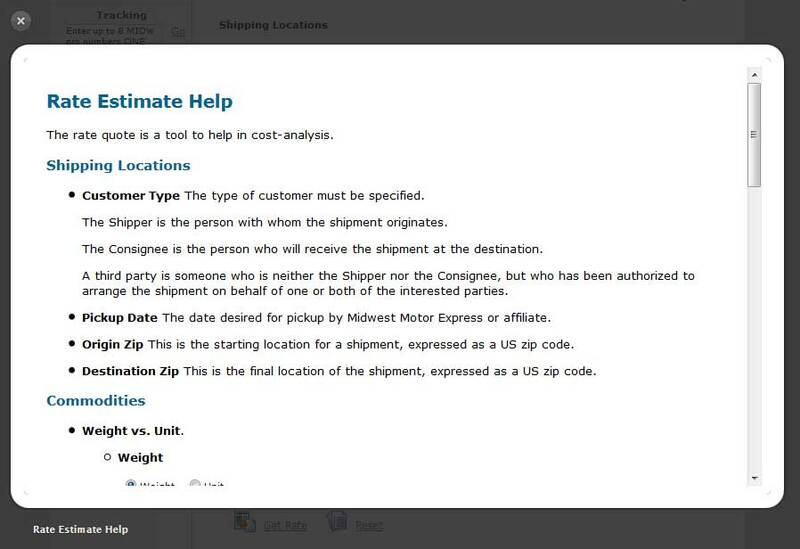 Customers with an ExpressTRAX account can log in and track shipments by multiple criteria, create and store shipment templates, view their account and shipment history, print a past delivery receipt and much more. 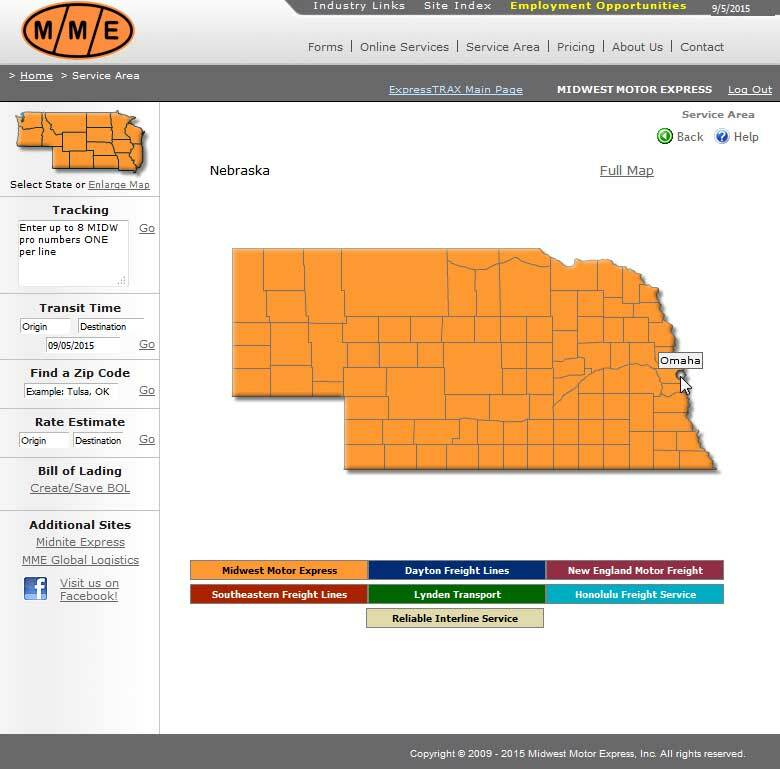 An interactive map is available at all times, providing a convenient means of obtaining localized information and street maps.